DEARBORN, Michigan – Ford invited us to its headquarters in Dearborn to unveil its future business plans. A lot was said, but the crunchy details were kept secret. However, some products were unveiled, such as a hybrid Ford Mustang and a hybrid Ford F-150 which will arrive in 2020. The return of the Shelby GT500, which will also join Ford’s lineup alongside these new hybrids in the near future, is ironic, but welcome. Automotive electrification is inevitable. The technology isn’t just a possibility, but an obligation. After midsize sedans, compact cars and even supercars, it’s now the Mustang and the F-150’s turn to receive the hybrid treatment. Ford remained tight-lipped about its future electrification plans in Dearborn, but did confirm that for the 2020 model year, a hybrid Mustang that will offer V8-rivaling acceleration and a hybrid F-150 that will tow about the same as its conventional counterpart will be a reality in its product lineup. Ford also shared some details about its future SUV lineup which, according to the carmaker, will all offer at least one hybrid version within their product range. We do in fact live in fascinating automotive times. Although battery-powered vehicles are just around the corner at Ford, Dearborn will still sell a V8-powered musclecar alongside them in the same showroom. 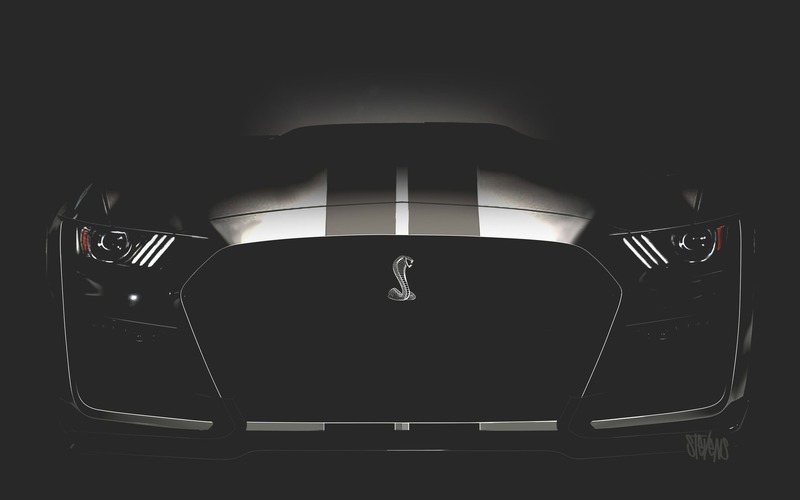 That musclecar will be the Mustang Shelby GT500 which, according to the Blue Oval, will be even more powerful than the last version with more than 700 horsepower on tap. That power will come from a supercharged V8 of some sort, but Ford hasn’t specified its displacement, or the kind of gearbox it will be connected to. We basically know nothing about the car, but we did see it, and we can confirm that it’s the wildest Mustang yet. We can’t say more, though. All we can share is the teaser image you see here. Of course, we will tell you more about these new products as additional information is released.